12 Mar Is It Time to End Your Relationship? I am not telling you to end your relationship, but I really just want you to use this video as a guide to get to your own real space – your own truth of what is real for you. The bottom line is that denial and avoidance only work for so long and can set you up to be vulnerable to having an affair because sometimes if we feel that we can’t end the relationship ourselves, we subconsciously desire to “get caught” doing something like that as we know it will force the issue to a conclusion – but that’s a very messy way to end a relationship. Nobody wants that for you or for that other person that you’ve loved, regardless of whether you think that they’re your forever person anymore. 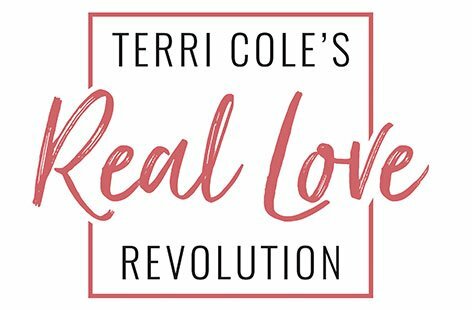 I hope that you have found this deep dive helpful and speaking of diving deep for all the ladies in the crew – Real Love Revolution Season is upon us so please go to https://www.terricole.com/raiseyourlovevibe to sign up for my Free 5-Day Raise Your Love Vibe Challenge starting March 19th! Love this Terri! Thank you! I am so glad the vid resonated with you. Thanks for being here! You have no idea how much I’ve needed to hear this! You’re right, I’ve known for some time, but just need that kick in the pants to get moving. Looking forward to your next video. Happy to provide a loving kick in the tush, Kay! Thanks for being here!! Thank you for these. I’m not liking some of my answers. How do you distinguish a relationship to need to get out of vs a relationship that is a challenge you’ve finally accepted to help overcome your self-limiting beliefs that have prevented you from having relationships in the past (for yourself and your partner)? How do you know that maybe you don’t need to bail but this is your opportunity to learn and keep pushing past your comfort zones and encouraging your partner to meet you in that place? As you can see I’m still very confused 🙂 P.S. I discovered you on the Smart Couple podcast this morning and was immediately drawn to you. I have a lot to learn from you! Thanks for your question, Kim. Every person has a different definition of deal breakers in relationships. You have to honestly assess how much of the time you feel happy, satisfied, seen or heard. and if you don’t like the % you come up with -then ask yourself what would have to happen for things to change. Are you willing to do the work, is your partner? That is where I would start. Thanks for being here! Terri, thank you for sharing this and for your amazing insights! I have been following/reading your work for a while now and this came at just the right time. I watched this a month ago and wasn’t quite ready to dig in until your video on how to end a relationship well arrived in my inbox today. You mentioned something about including a “key” for the worksheet that we could use for clarity once we’ve answered the questions. Am I being daft and missing it somehow? Unfortunately, we got to a point where an affair took place so the healing and decision making process is obviously extremely difficult . I think it really boils down to getting still and quiet, tapping into the language of my body and soul and having the courage to follow through either way. I received the energy you sent…I deeply thank you. And appreciate the “key” you shared below…very helpful. We are seeking professional help and I may share these questions with our therapist and my husband. It might be helpful for him to answer these questions as well. I thought she said there was a key as well….a little confused. Your honest answer to question #1 is your truth. 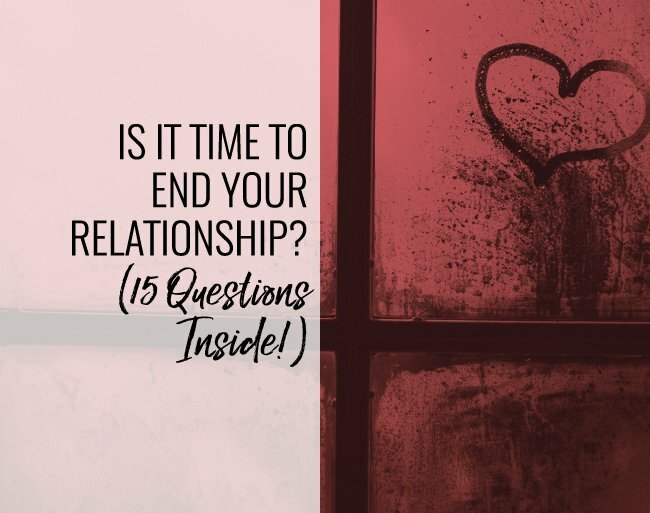 If you answered ‘YES’ to two or more of the following questions 2, 9, 10, 12, 15, and/or ‘NO’ to two or more of the following questions 4, 5, 6, 7, 8, 11,13, 14 it might be time to seriously consider ending your relationship.